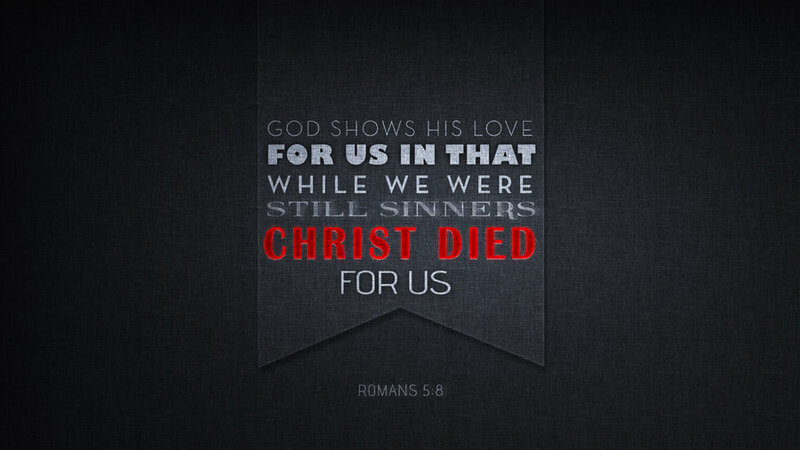 Our text this evening, Romans 5:1-11, works for well for the Lenten season. Lent is the period of time where we especially look to the suffering, death, and resurrection of Christ for the forgiveness of our sins. Here in Romans St. Paul describes one of the results of Christ’s sacrifice on our behalf: we have received reconciliation. Paul writes, “Therefore, since we have been justified by faith, we have peace with God through our Lord Jesus Christ.” He continues, “We also rejoice in God through our Lord Jesus Christ, through whom we have now received reconciliation.” Since we have been justified by faith, Paul says, we are reconciled to God and we are at peace. This peace and reconciliation between God and us is something that comes entirely from outside ourselves. Throughout Scripture our state of being apart from faith in Christ is described as death. Without faith we are dead in our trespasses. Those who lack saving faith live their lives in sin only to go to the grave unrepentant and to eternal torment. Such were some of us. Lured by the influence of Satan and the world, at various times and places, we have each devoted ourselves to sinful desires and actions. At those times we were not only without God, but we were actively turned away from Him. The result of Christ’s work is this: that He has broken down the wall of hostility that existed between God and us. Ever since our first parents were cast out of the Garden, there existed a wall between God and us, a flaming sword separating everything sinful from everything good and righteous and pure. This wall was broken down by Christ on the cross, as we read in Matthew 27 that the veil in the Temple was torn in two at His death. Because of this, the hostility and wrath of God against sin, sin that existed in us, is replaced by God’s good favor. Scripture says, “Since, therefore, we have now been justified by his blood, much more shall we be saved by him from the wrath of God. For if while we were enemies we were reconciled to God by the death of his Son, much more, now that we are reconciled, shall we be saved by his life.” One of the things that we were just talking about in new member class is the end of the world. In the past couple years contemporary society has seemingly become more conscious of the fact that our earthly lives, and the world, will end. On the shelves we see books like, Heaven is for Real and Love Wins. But, concern over what will happen at the end of life is not new. Paul writes to the Romans, that if we are now justified by the blood of Christ, meaning that the guilt of our sins is removed through His death, how much more then, when we die, will we be saved from God’s wrath. Scripture is perfectly clear that God and sin cannot coexist. Out of mercy Christ has delayed His return so that many may be called to faith and receive forgiveness. But there will be a time when He returns and sin is punished. This should not scare us, for we have received reconciliation and are saved by the life of Christ. However, it should motivate us to share the Good News of Christ so that others may enter His rest with us. There’s a children’s song that goes, “At time like this, oh, I need the Lord to help me.” In our text tonight we learn that, at a time like this, we are helped by the Lord. As it says, while we were still weak, at the right time Christ died for the ungodly. He died for us; He died for you. By His blood the wrath of God has been removed from us and we now have peace. Instead of God the Father seeing our sin, He now sees His beloved children, whom He will soon welcome into eternal life. In His name, amen. The Holy Bible: English Standard Version (Wheaton: Standard Bible Society, 2001), Rom. 5:1. How does Romans 7:6 follow logically on the points Paul made in Romans 6:2-7? In vv. 7-13, how does Paul contrast the nature of the law itself with what it does in practice? What does it mean to be “sold under sin,” (v. 14) or to be “captive to the law of sin” (v. 23)? Paul vividly describes his present situation in vv. 21b-23, especially v. 23. How does the apostle describe “another law”? Note the Law/Gospel juxtaposition in vv. 24-25. What point is Paul trying to make through this sharp contrast? Christians have long debated whether Paul is talking about his life before or after conversion. What do you think? What is some of the evidence you might give from this chapter? When the temptations of sin entice us, what promise can we claim? The inner conflict described in this chapter is obviously intense. Is it more or less so for a Christian? Why? Gracious God, we are assailed by the accusation of the Law, which incessantly exposes the sin in which we are mired. Assure us of the Gospel of Your Son’s death and resurrection for us. Keep us mindful of the forgiveness that You continually give to us. Remind us that in Baptism we have become Your adopted children, and that You will not let us go. Amen.